Global Partners in Care has announced that its partners, Hospice of The Western Reserve (located in Cleveland, OH) and Helderberg Hospice (located in Somerset West, South Africa), are the recipients of the 2018 Global Partnership Award. The award will be presented during the National Hospice and Palliative Care Organization’s annual Leadership and Advocacy Conference on April 15th, 2019. The Global Partnership Award is an opportunity to recognize the outstanding efforts of a partnership that has demonstrated core values of a true partnership: commitment to building a strong relationship, collaborative projects, staff contribution and commitment, and community outreach and involvement. The award comes with a $500 donation to the international hospice partner. “Hospice of the Western Reserve has shown what a tremendous impact one partnership can have in the delivery of palliative care. The long-term commitment they have made to Helderberg has made a lasting effect on the patients and families needing palliative care,” said Mark Murray, President / CEO of Global Partners in Care. “This partnership is as important as anything we do,” noted William Finn, CEO of Hospice of the Western Reserve. 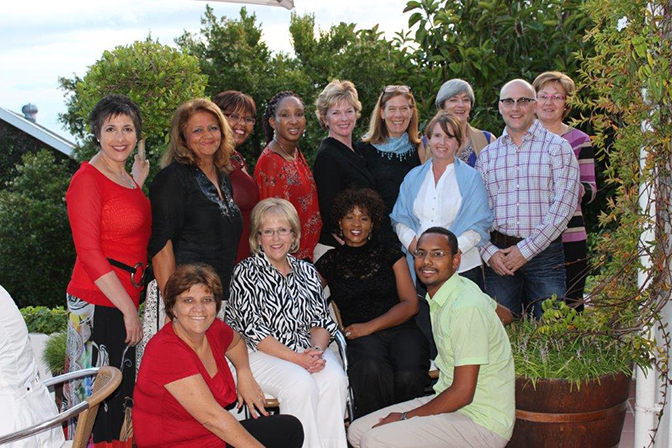 Global Partners in Care congratulates Hospice of The Western Reserve and Helderberg Hospice for their outstanding commitment to their partnership and for making a lasting impact on palliative care in South Africa.